ANALYSIS: Is Edcon too big to fail? The Competition Tribunal has approved, subject to certain conditions, the state-owned Industrial Development Corporation's (IDC) acquisition of clothing and footwear manufacturer Celrose - of which Edcon is a majority shareholder. Celrose owns Eddels Shoes. It supplies clothing and footwear to the Edcon group and other retailers in South Africa and Zimbabwe, according to the Tribunal. 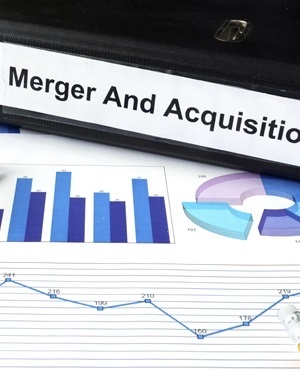 In the view of the Competition Commission, the merger is unlikely to substantially prevent or lessen competition in any market. However, both the National Union of Leather & Allied Workers (Nulaw) and the Southern African Clothing and Textile Workers' Union (Sactwu) had raised concerns in the past about what they regarded as a potential threat to employment. According to a statement by the Tribunal, the unions claimed employment at Celrose and Eddels would likely be negatively impacted in the absence of commitments that post-merger, Edcon would continue to buy the same or similar volumes of footwear and clothing from Celrose and Eddels. The IDC and Celrose, in turn, said an amended and reinstated merchandise supply agreement will ensure that Edcon continues to procure products from Celrose and Eddels post-merger. The IDC and Celrose undertook that the merger will not result in any retrenchments. Despite these submissions, the unions remained concerned about the transaction's possible effects on employment. Celrose must not retrench any employees as a result of the merger for a period of five years from the implementation date of the merger, for instance. Celrose must, during the first five-year period of the Merchandise Supply Agreement, provide reports to the Competition Commission in relation to the agreement. Any decision not to renew or extend a contract for a contract worker.